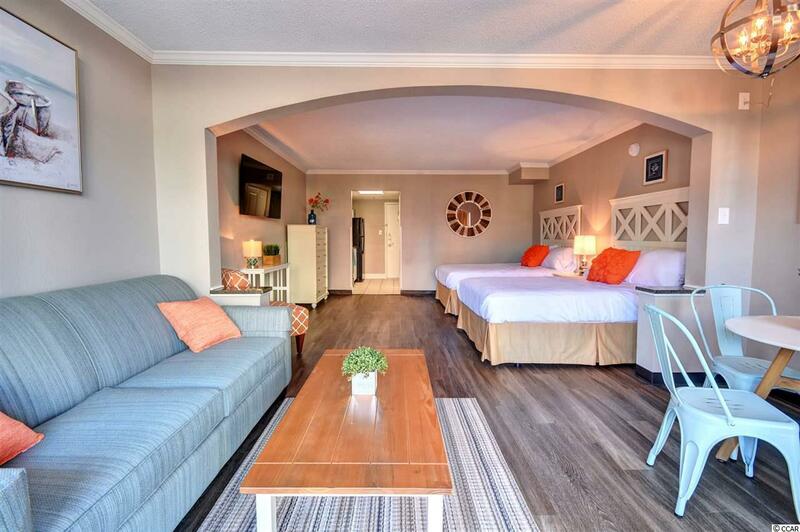 Enjoy this completely remodeled and ready to rent ocean view studio condo at the Caravelle Resort. 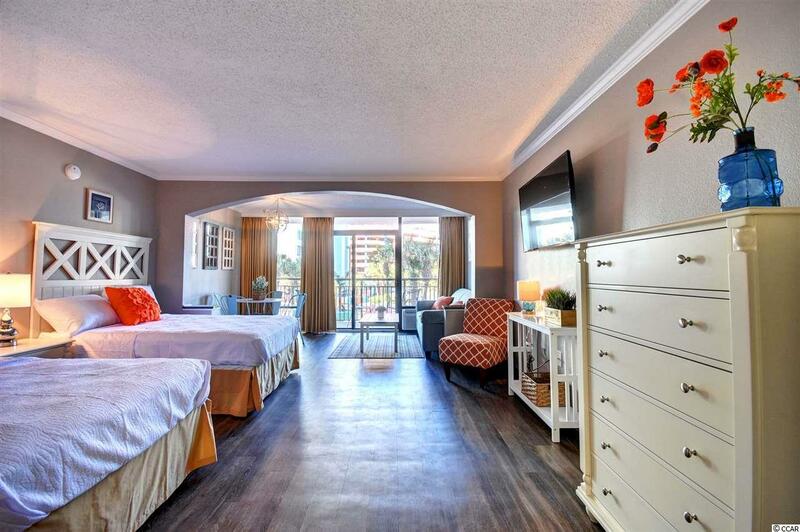 This unit consists of new flooring, 2 double beds (upgraded Serta Matresses for a comfortable night sleep), 1 queen sofa bed, a full kitchen with a brand-new oven, stove, microwave and granite countertops. The kitchen cabinets (also brand new) are full of new dishes, glassware, eating utensils, blender, 4-slice bread toaster and cookware. 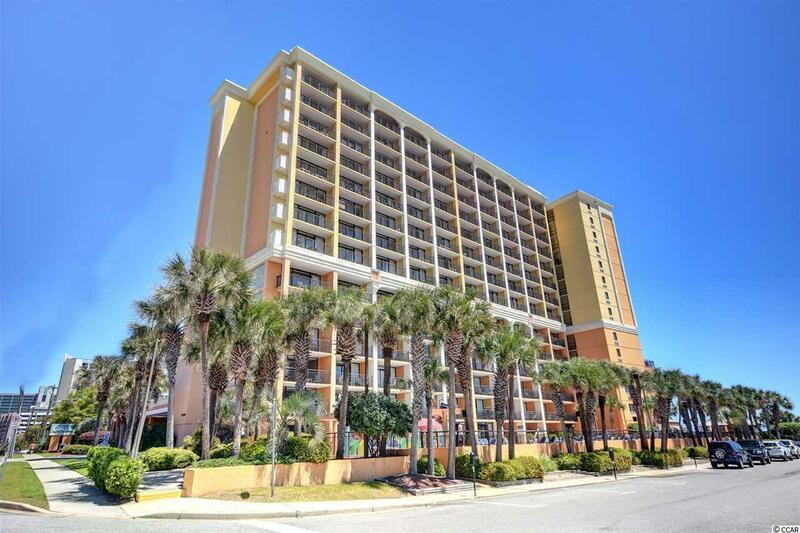 This condo is located on the 2nd floor with southern exposures (Sunset Side) for winter rentals. The large wide corner balcony overlooks the pool and kiddie water park which allows the guests to sit on the balcony after a long day at the beach and watch their children play at the pool. Being a corner unit, you only have ONE side that is connected to another condo. It is very quiet in the condo, which allows for a great night sleep! The condo has a brand new 50-inch flat screen Smart TV. Renters have the convenience of parking on the 2nd floor of the parking deck and walking right into this condo. This location eliminates waiting at the elevator and is much easier carrying luggage and groceries in the condo! The Caravelle Resort has a bunch or Water Attractions, Resort Activities and Dining Options. The Water Attractions consist of: A large block long Poolscape, Wild Water Pool, Indoor Pool (located on the 7th Floor), Carolina Dunes Pool, St Clements Pool, Caravelle Tower Pool and Lazy River. The Resort Activities include: The Sun Deck, Caravelle Kids Club, Golf Department, Fitness Room, Game Room and Aqua Petite Spa. The dining Options are: Santa Maria Restaurant, Liquids Lounge, Marco Polo Pool Bar and Grill and Pirates Cove Ice Cream and Sandwich Shop. 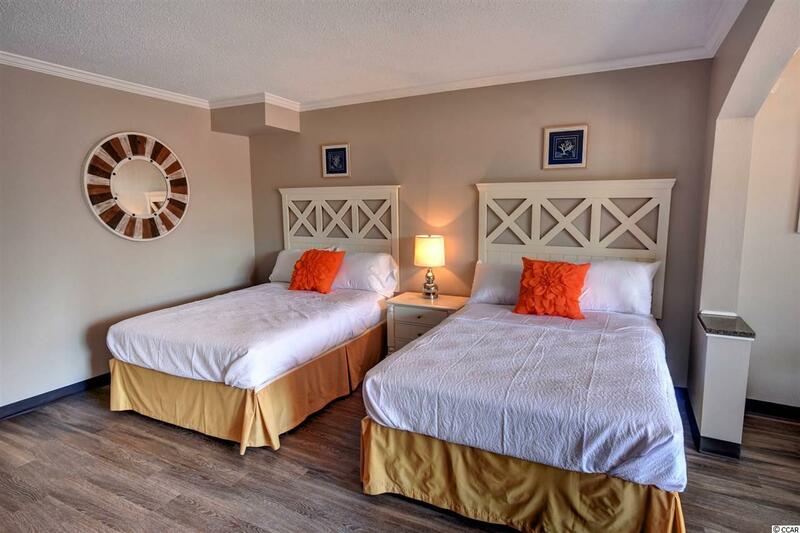 The Caravelle Resort is located a few miles from Broadway at the Beach, Myrtle Beach Int. Airport, All the restaurants, miniature golf courses and shopping outlets that Myrtle Beach has to offer. Just a few miles north you will find the large Bass Prop Shop store and Barefoot Landing (Shops, restaurants and night life like Broadway at the Beach).